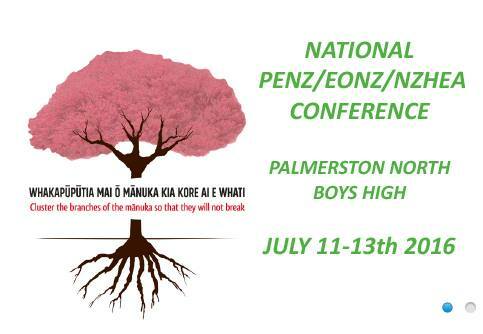 Annually Physical Education New Zealand, Education Outdoors New Zealand and New Zealand Health Education Association host a three day conference full of educational sessions as well as networking and fun events. I am pleased and privileged to be able to attend the conference this year, along with many familiar and new faces. Day 1 today started with a bang, and I am so excited for what is to come! We begun with keynote presentations from several teachers who discussed what they are doing to nourish our learning area in their careers. I was interested to listen to changes and ideas that are getting developed in schools, and how they are developing in the teachers' classrooms. 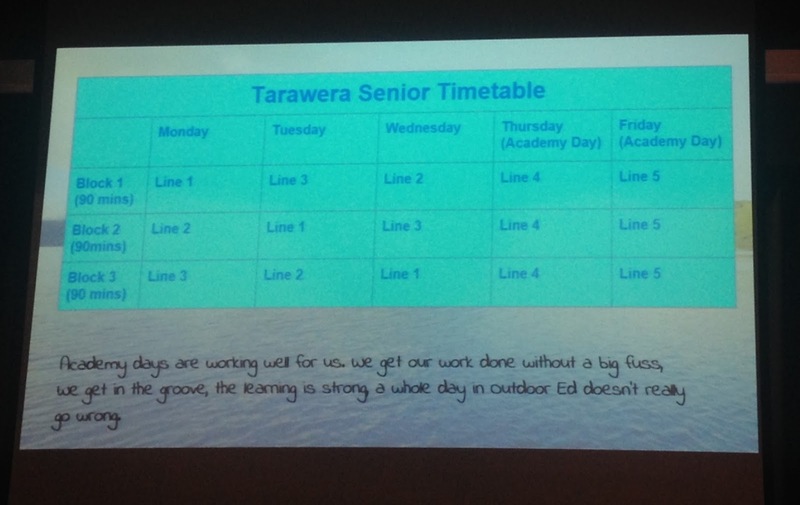 A stand out from Sophie Hoskins, teacher in charge of Outdoor Education at Tarawera High School, was the commitment their school has had to inclusion of specialist subjects. 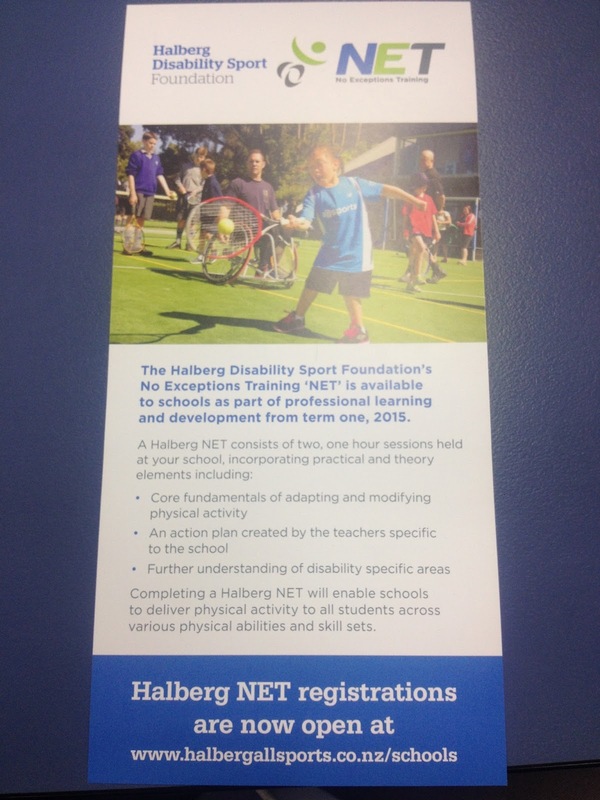 More often than not specialist subjects including Health, PE and Outdoor Ed are dumping grounds, a place the students who are unsure of what subjects they want to take go to, or where the 'naughty' students are placed. Personally I think this is due to the misconception students and teachers have around our field as being an easy route. 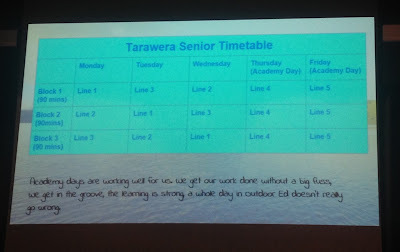 However, Tarawera have completely manipulated their timetable so the core subjects are taught Monday-Wednesday during standardised periods, then Thursdays and Fridays are 'academy days' - all day spent in one subject. This affords the likes of Sophie to take her class out for the day without disruption to any other subjects, and allows for more time when at school for more creative lessons. I would love to pose this idea to Senior Leadership, as this demonstrates all subjects are viewed equally, affords time for hands-on projects and may reduce the on-going issue of students missing class due to various trips and courses. Claudia Goff, my number one blog post supporter! One of the biggest take-aways I had from this mornings keynotes, was the willingness to share, which many people jumped at. As I am lucky to be immersed in an envrionment of openness, I often forget many teachers must feel as if they are closed off from the world, and all of the awesome creations that are out there. Therefore, when teachers were surprised other teachers would share their work, I was taken aback a little as I realised I expected this willingness to immediately! I realised I cannot expect everyone to be as open to share their work as I am, which was an interesting realisation that saddened me a little. 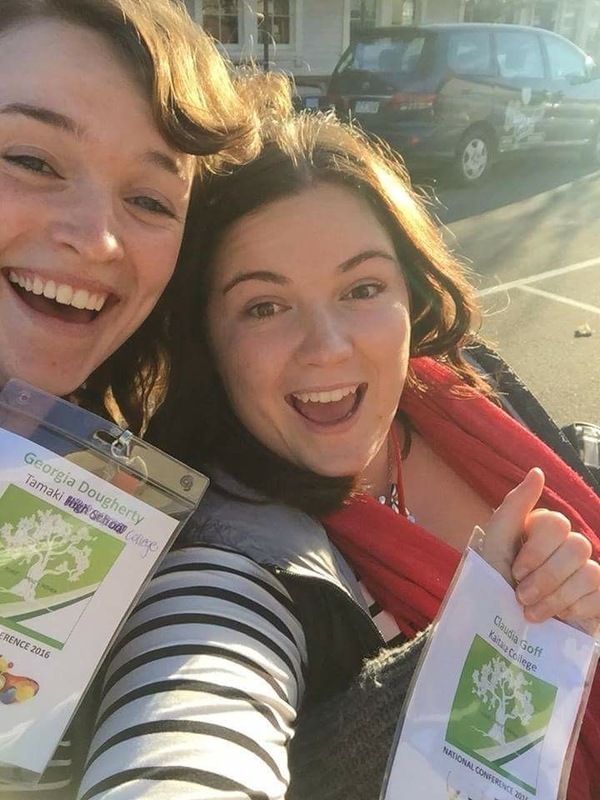 Though, it is pleasing to see more teachers putting themselves on display, as this demonstrates their commitment to helping fellow educators and colleagues in order to better education and student learning. We also were presented with a panel discussion of several presenters to discuss their research, thoughts and opinions on one common topic; what is the role of schools and fighting obesity? All of the presenters had impressive backgrounds in education and the field, so what they had to say interested me considerably. Some argued the word obesity should never be included in schools, others argued that we should be educating about and around obesity without the scare tactic and others argued the need for 'healthy' canteen options at school. At the end of the presentations the audience were open to ask questions through sli.do (an interactive Q&A with the audience - love it! ), which the presenters then answered and discussed with one another. A common question and concern was the need for nutrition programmes in our curriculums but an uncertainty of what to include, mostly because of the fear of hurting the feelings of children and the fear of students developing concerning behaviours with reference to eating disorders. This discussion encouraged me to reflect on what really is important, and I think that is the exploration of foods and nutrients, and the importance on the body holistically, rather than on the affects on the physical body. 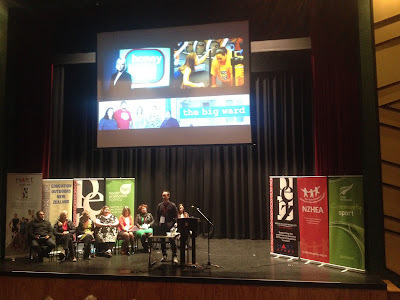 Throughout the conference, in addition to keynotes and panel discussions, we, the participants, elect into various sessions that are run by teachers and organisations from around the country. 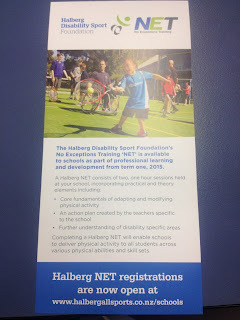 I attended a session about inclusion of students with disabilities within PE, and then a session about learning progressions in sexuality education. My take-outs were to remember we are including a person, not an impairment or a difference, we need to maintain the integrity of students as well as full immerse them into our subject, if you are unsure about someone's ability to participate, ask them, and that sexuality education should be started as early as possible, with the depth of knowledge increasing as the students get older. A major part of the conference, I have quickly learnt, are the opportunities to network. Not only are we here for new ideas and professional development, but also the chance to meet new people in our field. 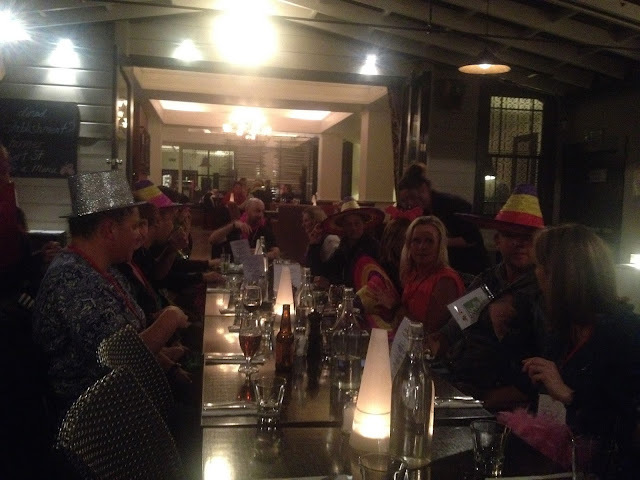 I have never felt such a buzz then I did tonight, at our Restaurant Crawl. I have never been surrounded by so many people with similar interests and passions as me, and similar stories to tell! I felt so comfortable having discussions with others, because there was instantly a huge connection we could make; the love for the field and the love for working with youth. I learnt so much tonight indirectly by conversing with others, and I met people with some affordances for my students and my career. I already can't wait for next year and I have two days to go!